The state of women-owned business in Memphis… is strong. Really strong, actually. Let’s take a walk down memory lane before we explore the female entrepreneur landscape in the Bluff City. In 1988, President Ronald Reagan signed the H.R. 5050 Act, also known as the Women’s Business Ownership Act, into law. This crucial piece of legislation, which passed with the help of the National Association of Women Business Owners, changed everything for females wanting to run their own businesses. It gave entrepreneurs recognition, resources and eliminated discriminatory lending practices by banks that favored male business owners. Until its passage, women could not even receive a business loan to open a business without a man’s signature. Wow! Now, fast forward 31 years and female businesses are flourishing across the country, especially right here in Memphis. From 2007-2018, our area has seen tremendous growth in this arena as reported in the State of Women-Owned Businesses Report from American Express and then shared by our own Memphis Business Journal. In fact, Memphis ranks No. 3 among major U.S. metros in woman-owned business growth, increasing by more than 42,000 woman-owned businesses during that time period. The increase resulted in an even bigger economic impact, bringing upwards of $2.8 billion in revenue and 6,000 jobs. To those who blazed the trail for the women who are at the helm of their businesses today, thank you. You paved the way for female CEOs like myself to have a seat at the table and a voice that is heard. 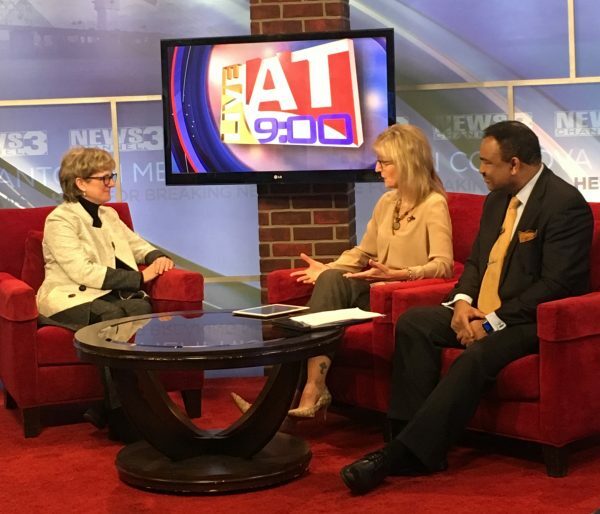 As president-elect of NAWBO Memphis, I sat down with WREG Live at 9 to discuss the impressive growth and what the future looks like for female business owners. Hint: It’s bright! To view the interview, click here.